Our Buyers’ Most Frequently Asked Questions…Answered! Just like most first-time homebuyers, you want to make sure you don’t do something wrong. Or, you might worry that you don’t know what you don’t know! We hear from our clients all the time about their concerns and questions when buying a home in today’s market. That’s why we’re here to provide answers to some of the most common questions we get so you can become better informed and more reassured. The questions swirling around in your mind are likely the same ones that other buyers, like you, want to ask too. And, more than likely, it was the same questions that buyers who went before you have also asked! So, mostly likely, we’ve heard your question before and even if we haven’t, no question is ever a “dumb question,” so ask away! And, if you have any questions that aren’t listed below here, reach out and ask us! Even though each buyer’s situation is unique, you’ll find the question/answer sections below helpful in giving you some insight on what steps might be best for you. Plus, maybe you’ll also learn something “you didn’t know you didn’t know”! Although there are no guarantees, there are clues and historical data that are indicative of future performance. One thing that drives home values in the DC metro area more than anything else is the addition of “walkability” and commercial/retail space. If you know the area is changing and is going to increase in density or desirability, you are likely to see an increase in value over time, perhaps more than other areas. We always tell our clients to not go on hearsay, but look at projects that have actually gone through the planning, development, and funding stages. Being near transit is also a good indicator that your value will increase over time. 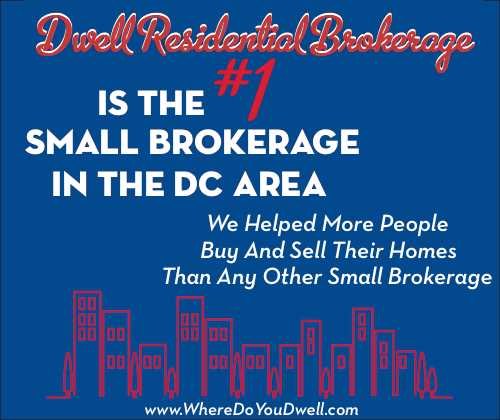 The good news about the DC market in general is that our population is increasing, our unemployment is low, and our economy is booming. That is a recipe for an increase in value overtime. However, you still need to buy smart — each neighborhood, block and/or building can be different and it’s important to understand that you don’t overpay. There is an old saying that says you make money in real estate when you buy, so focus on that and you’ll be fine when you sell. This is a tough question to answer and really depends on the specific situation of the home you are bidding on. In more competitive neighborhoods, most sellers want to give their home full market exposure to get the highest price possible. That means sellers tend to have their own deadline for any and all offers. If a seller is not anticipating multiple offers or perhaps just wants less inconvenience or a need for a quick sale, moving quickly with an offer and having a deadline for a response can be a useful strategy. If you are going to put in a deadline, make sure to give one that allows for enough time for the seller to respond, but not long enough for another offer to swoop in. Again, it depends on the particular situation. We have found that 8-12 working hours (not sleeping hours) is often a good time period for a deadline. Often times, this could mean avoiding a bidding war. But you’ll have to make it worth the seller’s while to want to take their home off the market quickly—perhaps a higher price than asking and favorable terms such as no or short contingency periods. Q: Is it worth it to find something faster when interest rates are low? A slight increase in your interest rate is not going to make the home you want unaffordable. And, just like buying and selling other investments, such as stock, timing the market is never a good idea. Buy and sell when the time is right for you. Speak with an expert about perhaps which month is best, but always go based on your own timeline and schedule. One thing we know for sure—there will always be homes to buy. And, when interest rates rise a lot, that often times leads to a slight cooling of prices. Good question and one we focus on for each and every one of our clients! We always say, you make money when you buy in real estate, so making sure you buy right is HUGE. The one and only way to make sure you are getting good deal is to look at the specific neighborhood, building or block you are buying in and compare your home to what has sold over the last six months to a year. There will be a range in price depending on specific location (for example, a basement unit will sell for less) and condition (just renovated will sell for more). Compare the home you want to buy with what has sold recently to make sure you are not overpaying. Also get information from your agent about whether it’s a sellers’ market or a buyers’ market, and make your offer accordingly. The longer a home sits on the market, the more likely you can get a lower price. And please keep this in mind—just because something is “cheap” doesn’t mean it’s a good deal. Be sure not to make this crucial mistake! Q: If the house I want is $20k over my price range, does that mean I can’t afford it? We tell our clients to focus on your monthly payments, not just on a purchase price. By doing this, you’ll know what you may or may not be comfortable paying for a home every month. In other words, focus on the fact that you want to pay, say, $2,500 per month on your new home and NOT on a somewhat arbitrary price point. Because for every $10,000 change in price, your monthly payment only goes up about $50 per month. When you look at it that way, you might be able to afford the home of your dreams or that home you just fell in love with. So, that extra $20,000 price tag equates into an extra $100 per month. Is that something you can handle? If so and it’s a home that has everything you’d ever want, go for it…as long as it doesn’t break the bank or make you need to change your lifestyle in any way that is uncomfortable. On the other hand, if you buy something not as nice for less money, you might have to spend money on repairs, etc. You’ll need to weigh the pros and cons of each situation when determining what is affordable to you. Next week is one of our most favorite articles — Is the “Paradox of Choice” Derailing Your Home Search? We tell you the secrets from this book that can help you focus on making a decision and not being overwhelmed by too many choices. You don’t want to miss it!